They were in the Hotel Lotti in the Rue de Castiglione, but not in Léon’s usual suite. Léon’s medicine case in yellow pigskin lay open, showing its crystal flasks, on a Louis XV chair. The Raccamonds, man and wife, bent over this case and poked at it. ‘He always travels with it: cowardice of the lion before a common cold, eh?’ Aristide reflected. 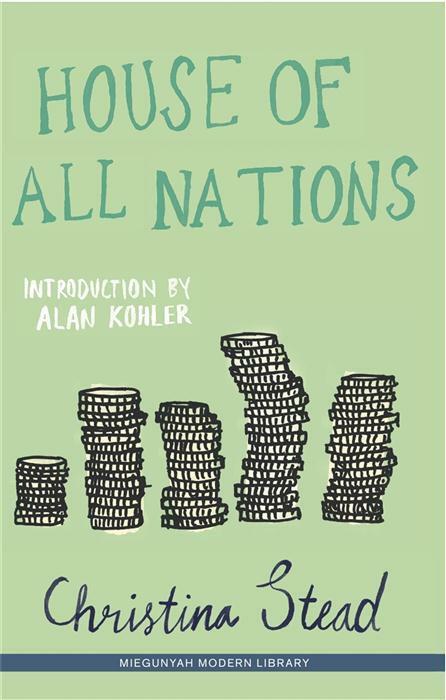 Available from Fishpond: House of All Nations $32.99 (but on the day I looked they had second-hand copies for under $20, delivery free). Is Christian Stead Week Nov14-20? Ok, I thought I had it wrong. Not at all, and I’ve just amended the intro to this post and another one to make it clearer.